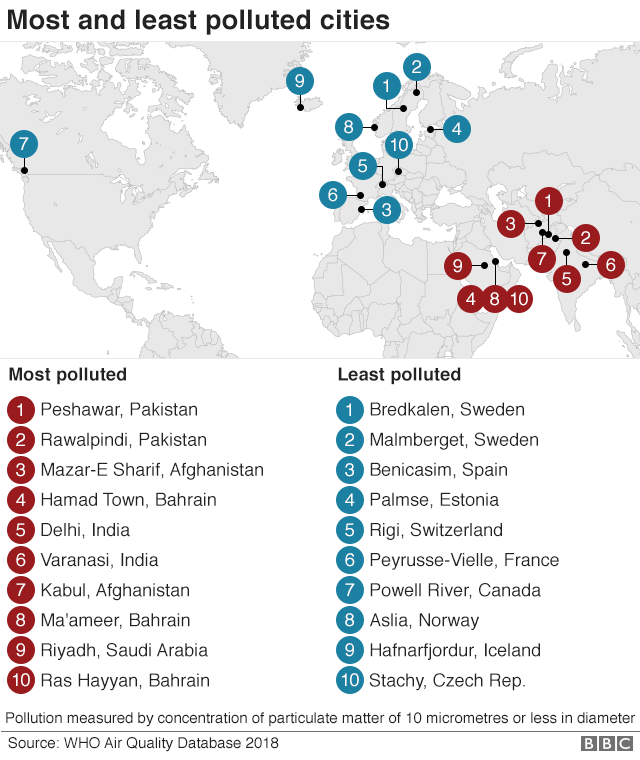 Researchers believe the results have global relevance, with more than 80% of the world's urban population breathing unsafe levels of air pollution. 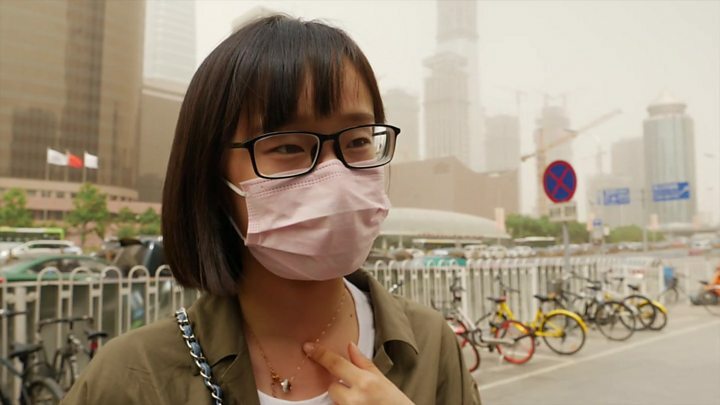 The study - which includes researchers from Beijing's Peking University and Yale University in the US - was based on measurements of sulphur dioxide, nitrogen dioxide and particulates smaller than 10 micrometres in diameter where participants lived. It is not clear how much each of these three pollutants is to blame. 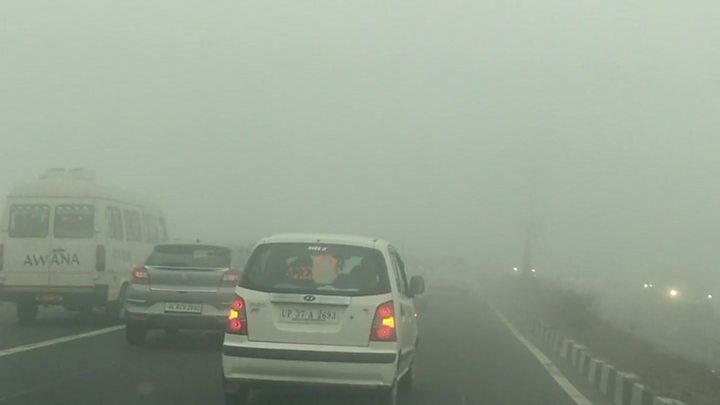 India smog: How many cigarettes did you smoke this week? "We provide evidence that the effect of air pollution on verbal tests becomes more pronounced as people age, especially for men and the less educated," the study published on Monday in the Proceedings of the National Academy of Sciences said. Pollution also increases the risk of degenerative diseases such as Alzheimer's and other forms of dementia, the study suggests. "Our sample enables us to examine the impact of air pollution as people age. So our results across the life course are quite new," one of the co-authors, Xi Chen of the Yale School of Public Health, told the BBC. Previous studies found air pollution had a negative impact on students' cognitive abilities. "This latest study matches with previous research," says Derrick Ho of Hong Kong Polytechnic who has worked on the health effects of extreme weather events like haze. "What's new in this paper is the focus on the China scenario and the fact that it's a very detailed study compared to many other ones," he told the BBC. "Also the differentiation between gender and age in this detail is new." Many pollutants are thought to directly affect brain chemistry in a variety of ways - for instance, particulate matter can carry toxins through small passageways and directly enter the brain. "Our findings about the damaging effect of air pollution on cognition," the study concludes, "particularly on the aging brain, imply that the indirect effect on social welfare could be much larger than previously thought." "For older persons (in our study those age 55-65 or 65+) the effects can be very difficult to mitigate given the long term cumulative exposure," Mr Xi says. "This is very worrisome as we all know that people often have to make important financial decisions in old age, such as when we should retire, which health insurance plan is better."